It was about time for us to do a series of exclusively Austrian bands, so the invitation to film sessions for Vienna’s Popfest came more than handy. Since about 2005 Austria’s pop music scene is thriving again, with lots of new bands, labels and events that keep inspiring each other. Yet there is not one scene, instead the approaches towards making music are refreshingly diverse. 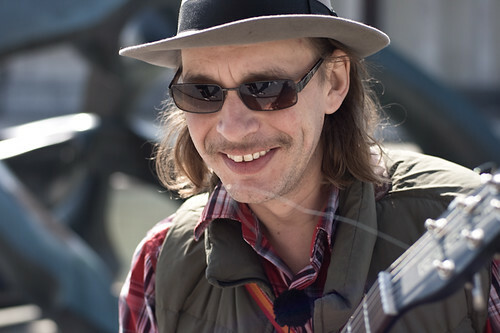 Ernst Molden, for example, fuses well-crafted singer/songwriter music with Viennese storytelling in the local dialect. 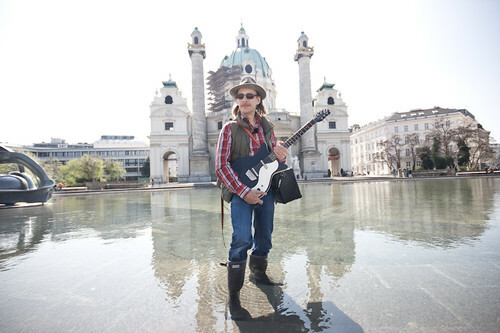 For our session he entered the artificial lake in front of Karlskirche.